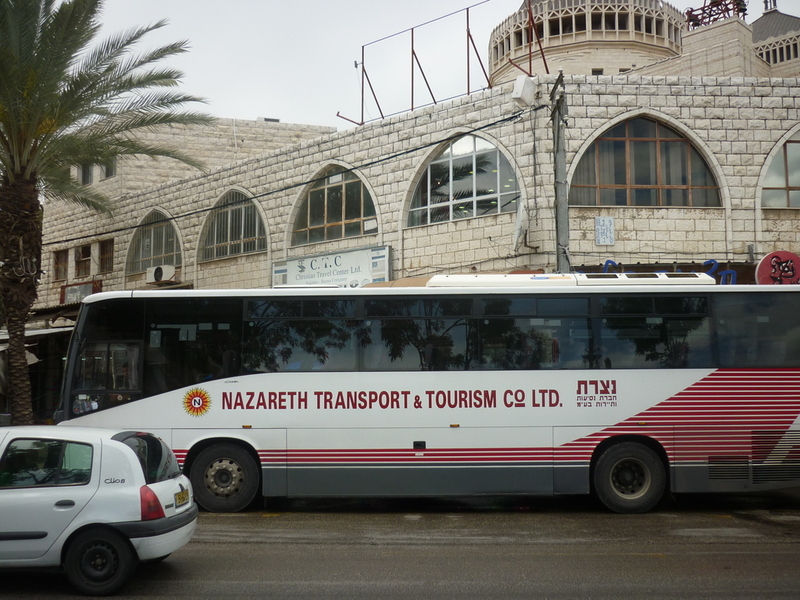 Revisiting part of my trip to Nazareth from a few months ago. In my job I often have to go up to a warehouse in Karmiel, a large food bank which supplies food for the poor in the greater Galilee area, to service computer equipment which requires me to visit every so often. One of the unique things I like about my job is going to visit this site to do a few days work and doing some sightseeing around the Galilee, meaning I can see Nazareth, Cana, Akko and Tiberias not too far away. As there is no dedicated IT person based up there, so maintenance requires a fair bit of planning if I need to take a laptop, tools and software CDs, this means I am doing a 2.5-3 hour trip up there from Jerusalem, which makes me think is a trip Jesus would be very familiar with, although Karmiel is much further up than Nazareth. 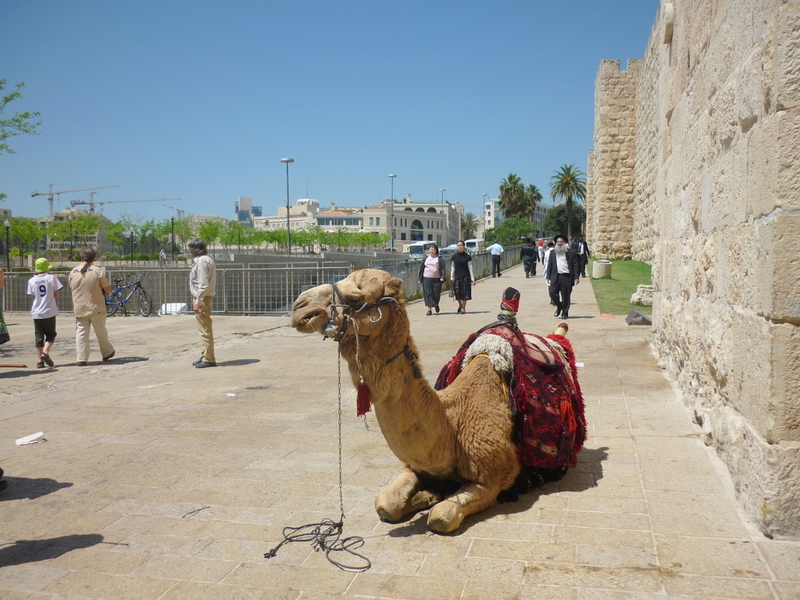 In Matthew 20: 17-19 the scriptures talk about Jesus “going up” to Jerusalem even though its south of course, part of this is to do with the high elevation that the city is on as well as its great significance for Jewish and Christian people alike. 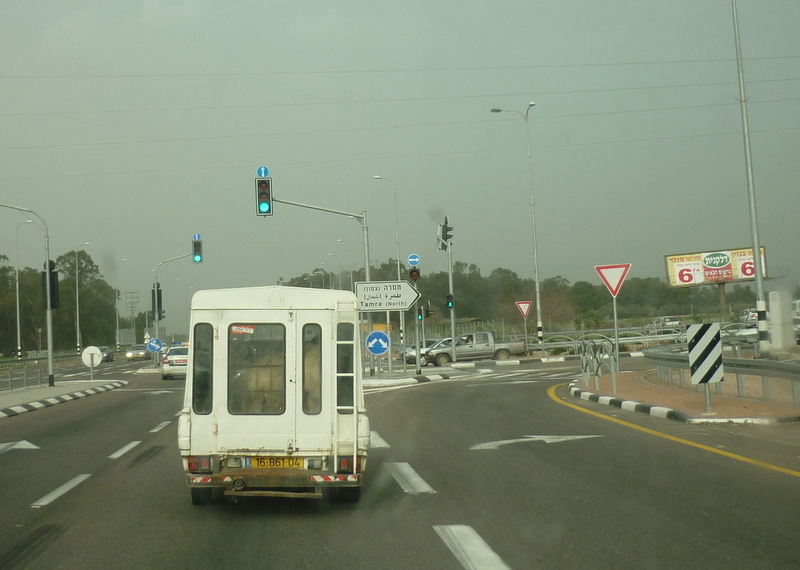 Getting to Nazareth is quite easy on an Egged bus or even with this above Nazareth based coach operator. Being in the middle of the Galilee region of Israel, there aren’t railway connections here like all of the (Ashdod / Ashkelon / Herzilya / Yaffo / Tel Aviv / Netanya / Haifa / Akko / Nahariya) coastal cities have in Israel. I often think about how often Jesus himself traveled between the two locations, if I were some other kind of mobile tradesman and lived here before cars and buses, there is a number of challenges, stopping for food and where to stay overnight, risks of attacks by bandits/robbers, extreme heat, mosquitos, having enough (3 litres a day per person minimum) water for the journey, steep hills, presents all manner of challenges. I am wondering if people at the time of Jesus owned camels and donkeys or if they were rented. 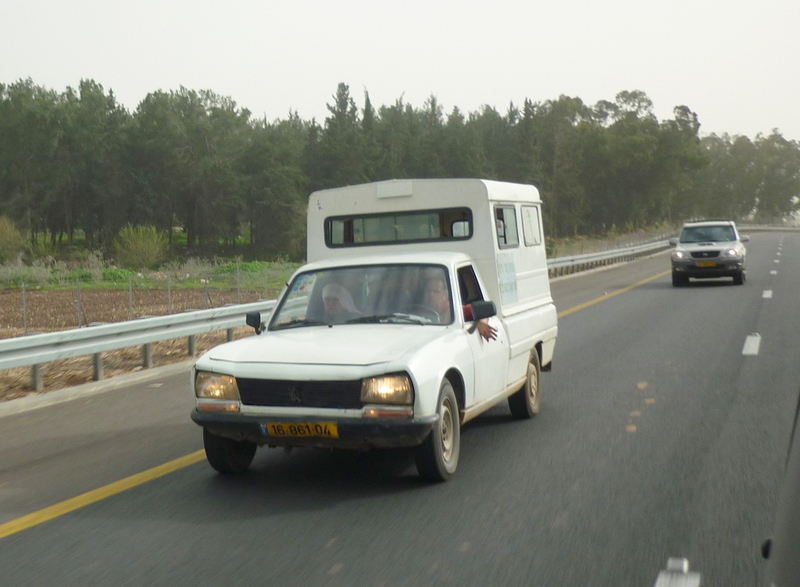 Arab people in rural parts of the country may have camels (which are still expensive today) or ancient Peugeot 504 pick up trucks are the other favourite, this one is full of sheep. Some historians have said it takes 3 1/2 days by foot to go from one of these famous cities to the other. I thought I would do some research. I have only just noticed when doing this, the line passes straight through the West Bank city of Nabulus. 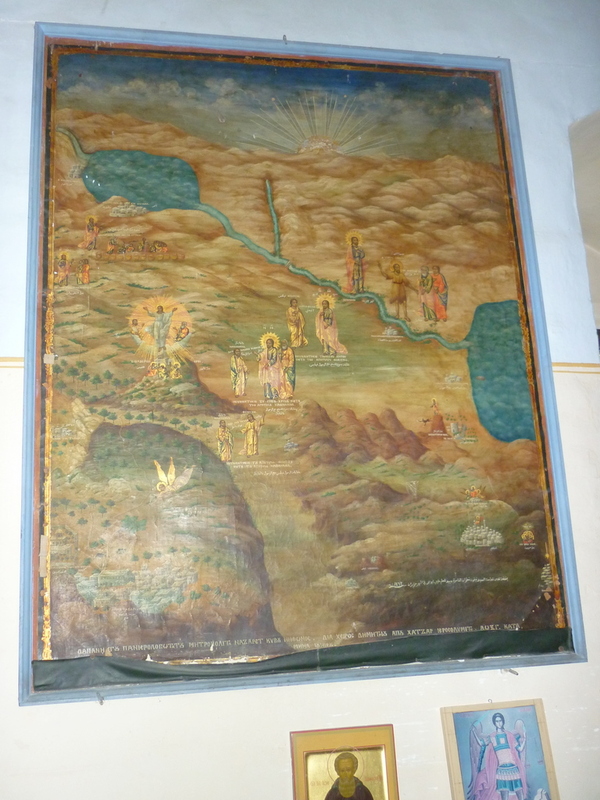 Given the highly mountainous terrain of this country, its unlikely it would be as simple as going via a compass back in Jesus’s time, there were plenty of political issues back then don’t forget, some places would not been safe then, especially given Jesus’s parable of the Good Samaritan, a Jewish man robbed and beaten up was cared for and put into a hotel for the night by a kindly stranger who as a Samaritan an ethnic group then enemies of Jews. Look at the link and see carefully the main roads in Jordan, and the shape of the borders between Jordan and Syria create a pattern which looks strangely symmetrical to the route I have sketched out. Quite bizarre. To be honest though, its hard getting an idea of time and distance of going to and from the two great cities by foot or donkey in any more accurate terms given the challenges or land boundaries, steep hills and uncertain historical road systems, but I think it gives you a little bit of an idea. I will visit Jerusalem March next year. I miss all the places we used to visit while we have our long vacation there.